I know details about these towels that most casual observers will never see. 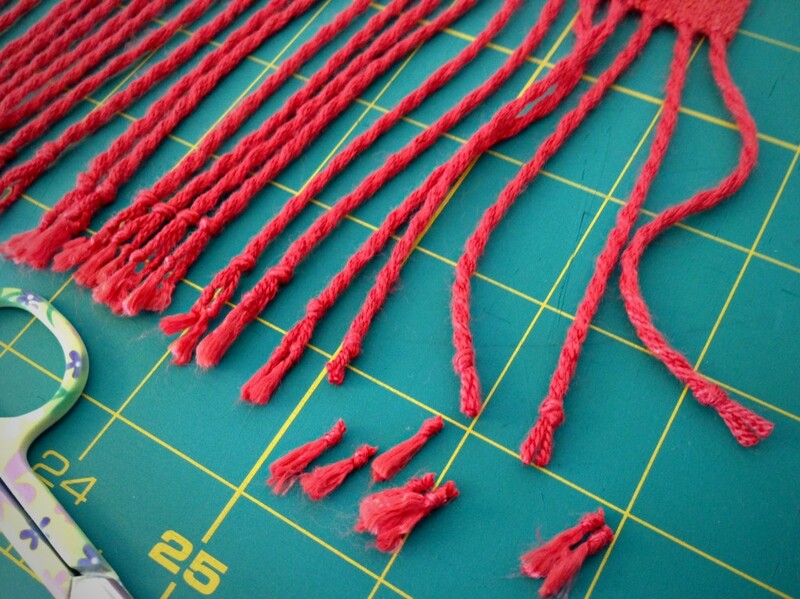 Every cloth starts with a plan; and, as the weaver, I am intricately involved in every aspect from start to finish. Labels on my handwoven articles identify me as the maker. 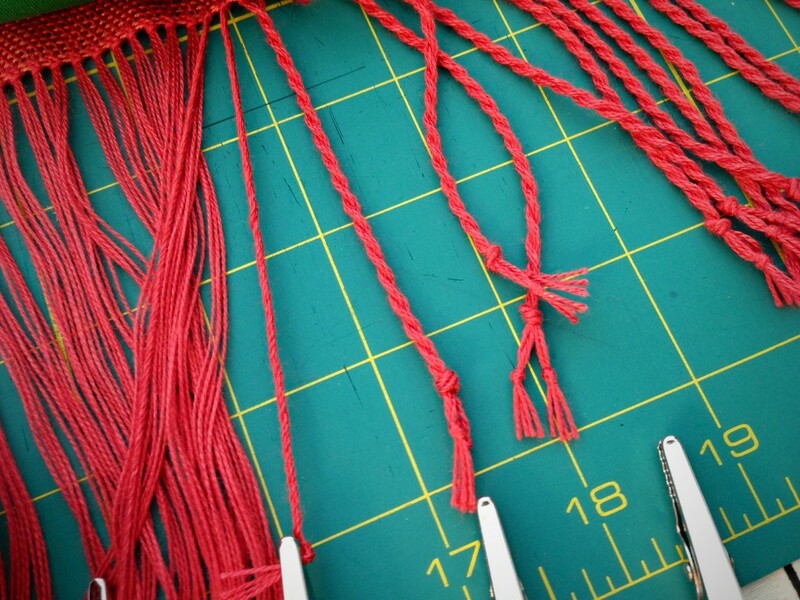 When you see my label, you know that you can ask me anything about the weaving process for that item. 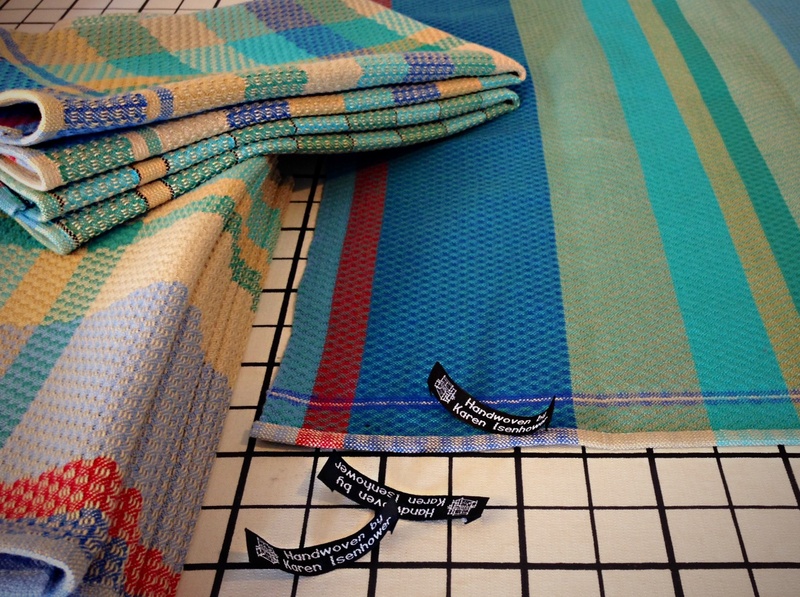 Stitching the “Handwoven by” label on the towel is the final step in finishing this group of towels. 16/2 cotton, 3-shaft twill with warp floats. On a grander scale, you and I have a maker. You don’t have to wonder if your maker knows you. He has known you from the beginning, planning the colors in the warp before it was on the loom, so to speak. You also don’t have to wonder if your maker hears you. Your prayers are heard. Even when no one else around you is listening, the Lord hears your prayer. Everything he has made, including you, bears his label. That makes you beautiful. May you put your maker’s skills on display. Your words have brightened my day! Thank you for stepping in to share your thoughts. I love rag rugs woven on 2 harness looms! 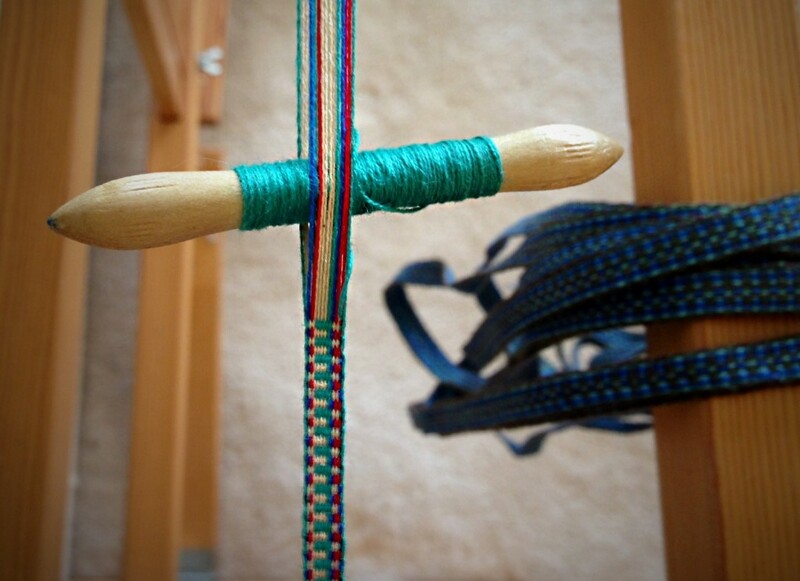 You have the best kind of weaving. These towels are stunning! 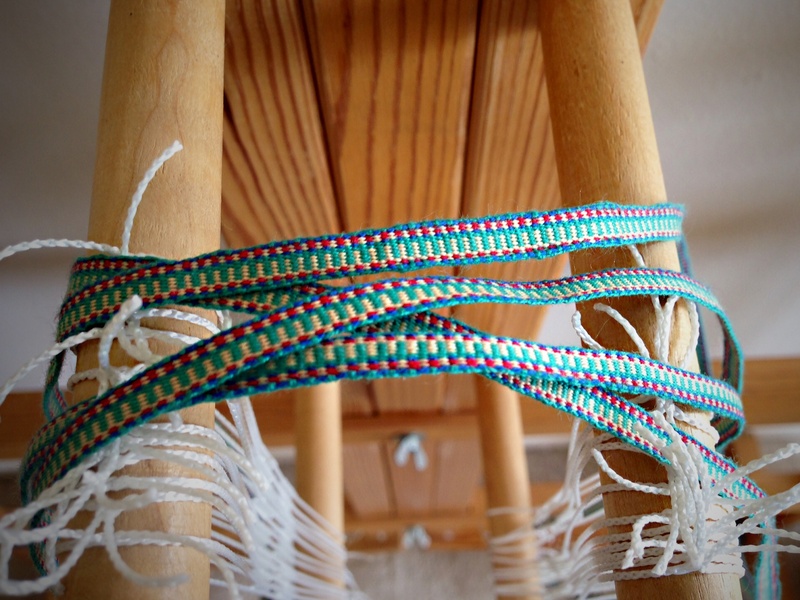 What a treat to see your creativity and your amazing new skills in this world of weaving. Thank you for sharing your pictures and your heart. I feel very fortunate to be doing what I enjoy! I’m doubly fortunate to have people like you cheering me on. I’m pleased that you like the towels! 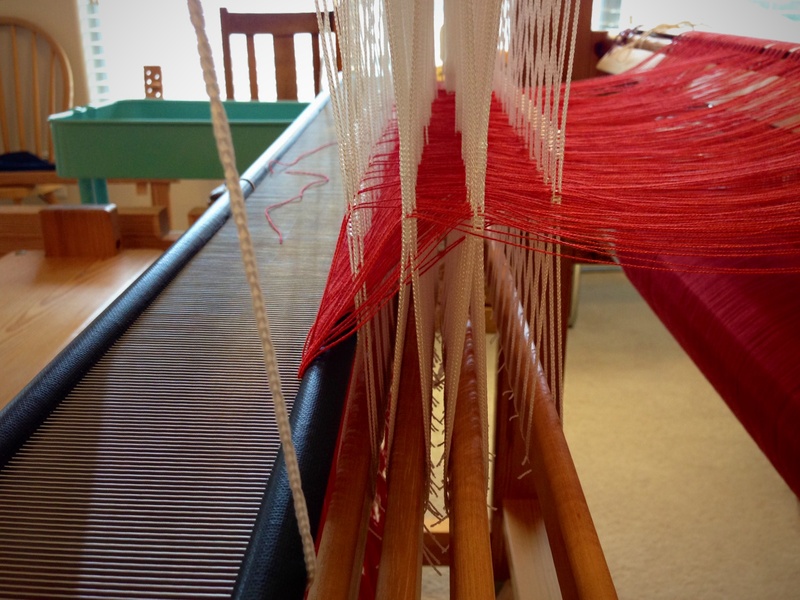 Dressing the loom is fun! Let me know if I can help in any way. Honestly, I didn’t know it would come out dotted. If I wanted dotted cloth, I could use surface design, like paint, embroidery, or beading. 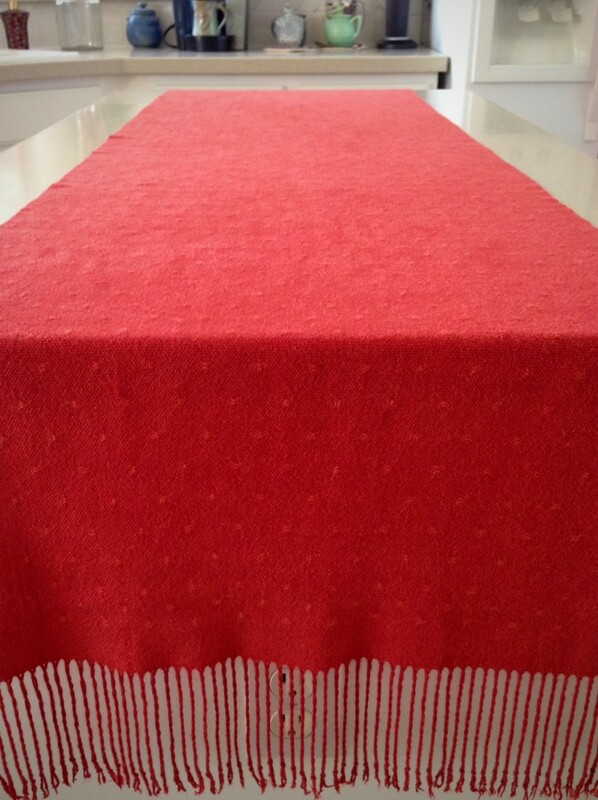 Instead, I got the pleasant surprise of dots that are woven into the fabric itself! 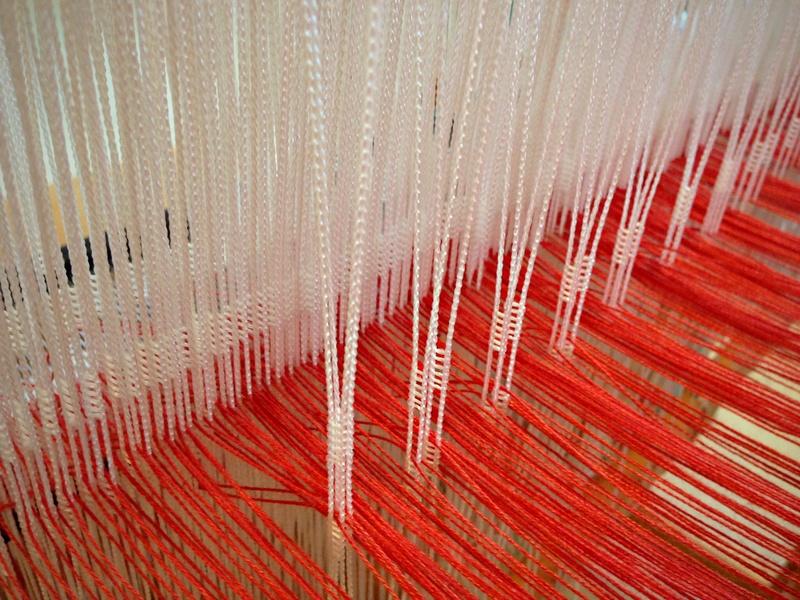 Huck lace weft floats, as seen in unwashed cloth (on the left), hand-washed cloth, (center), and machine-washed cloth (on the right). These shawls have a dark coral warp. The unwashed piece on the left is the one I intend to wear to my daughter’s wedding. You can see the light coral weft in the little weft floats of the huck lace. 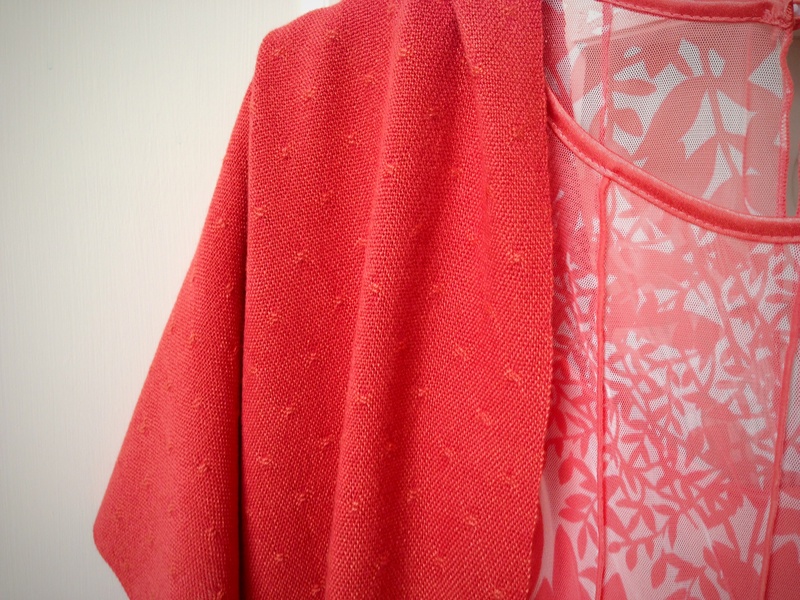 The other two pieces have a hot pink weft, which gives the cloth a (difficult to photograph) pink-ish coral color. The one in the center was hand washed. 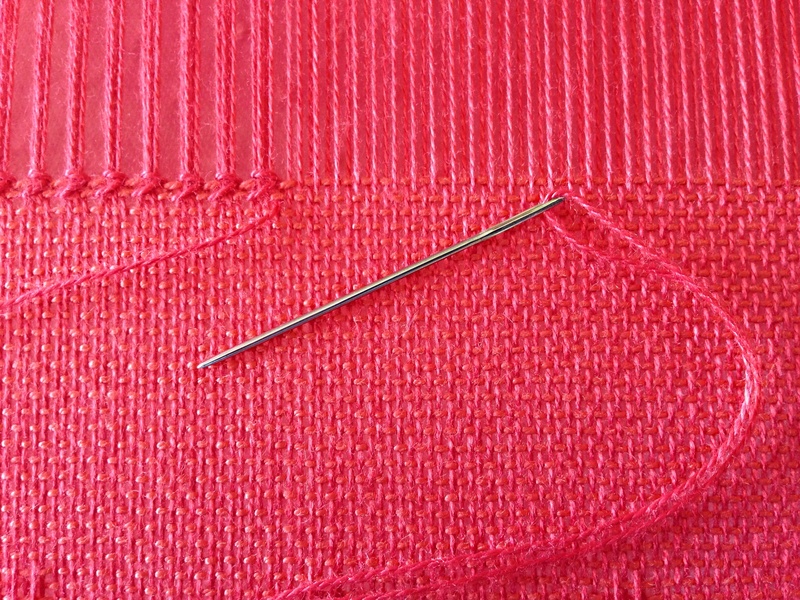 Notice that the pink weft floats are barely distinguishable from the rest of the fabric. 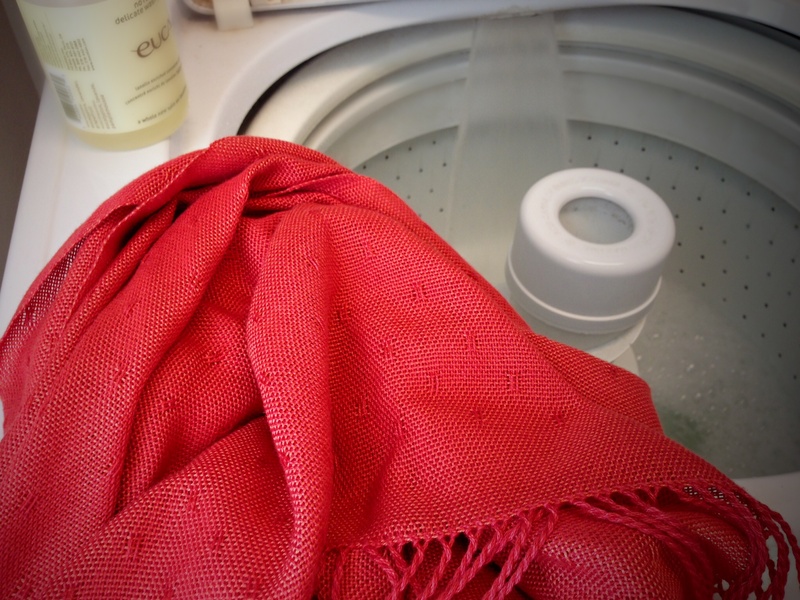 The piece on the right was washed on the gentle cycle in the washing machine (omitting the spin cycle). Look at the pink dots! They were there all along, but they became subtle, but noticeable, punctuation marks in the cloth through agitation in the washing machine. Like the dots that are woven into this fabric, truth is woven into our universe. Truth is. And truth is discoverable. It is there all along, but we don’t always understand it or see it. Sometimes, it is when we go through life’s agitations that truth rises to the surface as a pleasant surprise. May truth be your favorite surprise. This is beautiful. I tried a huck lace pattern for placemats, but the lace part looked much larger. Can you share the pattern? Hi Carol, I did some huck lace hand towels that were a larger pattern, too. I was looking for something more subtle for this shawl, so I was glad to find this draft. I am away from home at the moment, but I will post it for you later today. 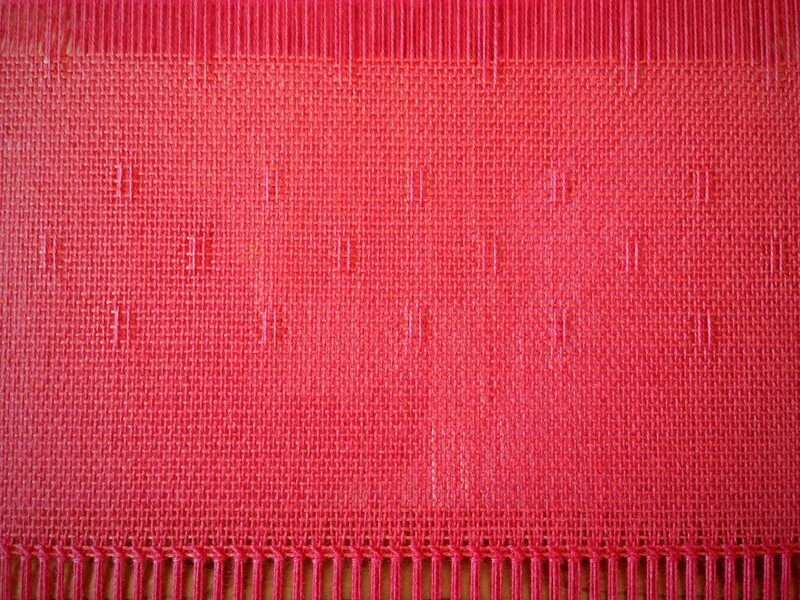 It’s from the book “Happy Weaving” from Vavmagasinet. 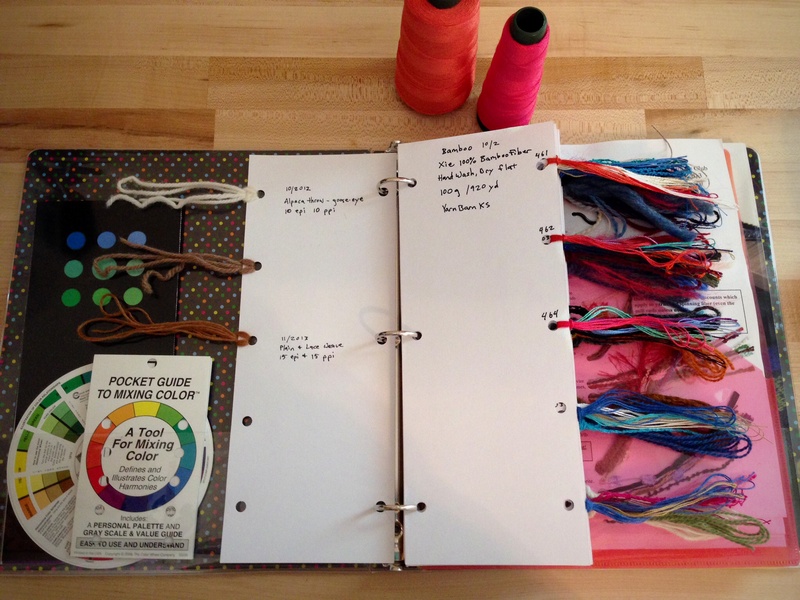 Here is my project sheet for this huck lace shawl. The draft is at the bottom of the page. I adapted it from the “Huck Scarf” draft in “Happy Weaving from Vävmagasinet,” p. 79. Easter brings fun things to mind. Spring colors, decorated eggs, pretty dresses. Speaking of pretty dresses, in just one month I will wear my mother-of-the-bride dress, with this handwoven shawl on my shoulders. 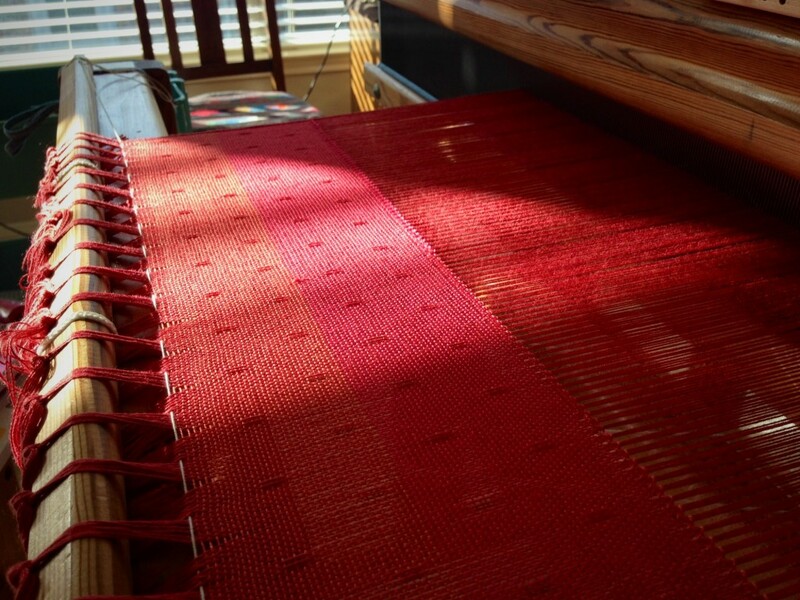 I am finishing the edge of the shawl with hemstitching on the loom. 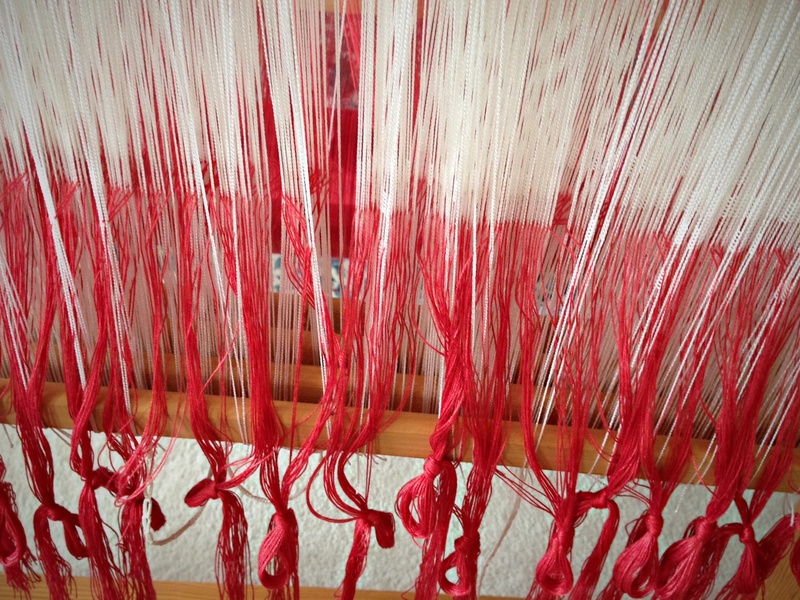 The hemstitching is decorative, but also has a practical purpose–it secures the warp ends and keeps the cloth from unraveling. If all goes as planned, twisted fringe will hang from the hem-stitched edge. Using a tapestry needle, every four warp ends are cinched together and connected with the two weft threads nearest the fell line. Forgiveness, the truest demonstration of love, is the ultimate security. Do you see how forgiveness serves as a finishing edge that gives beauty and definition to real life? When you know you are forgiven, you are secure in knowing you are loved. To be forgiven–that’s the gift, the meaning, the wonder of Easter. This is love. God so loved the world that he offered forgiveness. May your edges be beautifully finished. Good Easter to you, my friend. Pam, That’s a beautiful saying! I’m glad you stopped by! It’s wonderful to be forgiven, isn’t it? 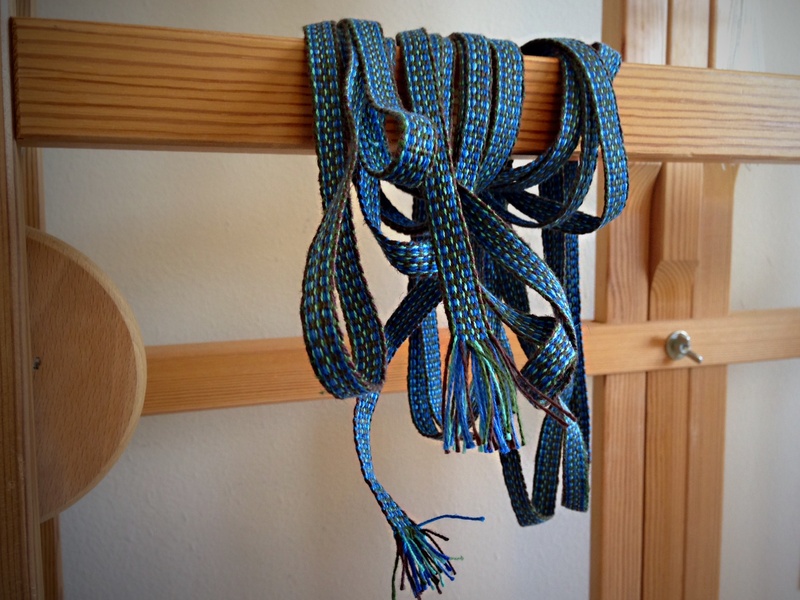 If I show you pictures of the bands and pieces of cloth I have woven, you might think they look perfect. That’s because the photographer (me) stages the photos so you get the best impression of the work. If you look closely enough for imperfections, trust me, you will find them. We all know that only God is perfect, so why are we so consumed with trying to reach perfection? 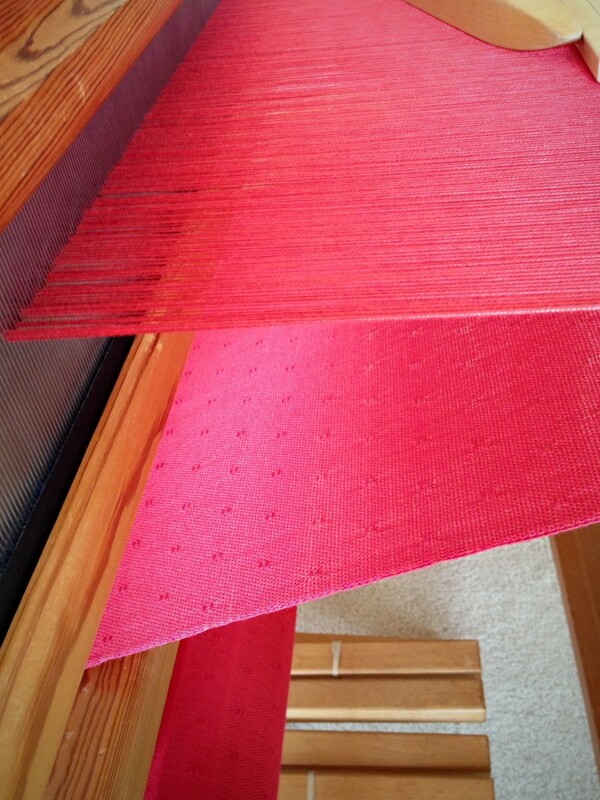 Nearly five yards of cotton/linen ribbon woven on the Glimåkra band loom. I had to finish this warp so I could start making a band to use for tabs on the towels I recently finished. We think that if we are good or do enough good things we will make God happy. A lot of people have been practicing; so, if practice makes perfect, why isn’t anyone perfect yet? Most of all, me. 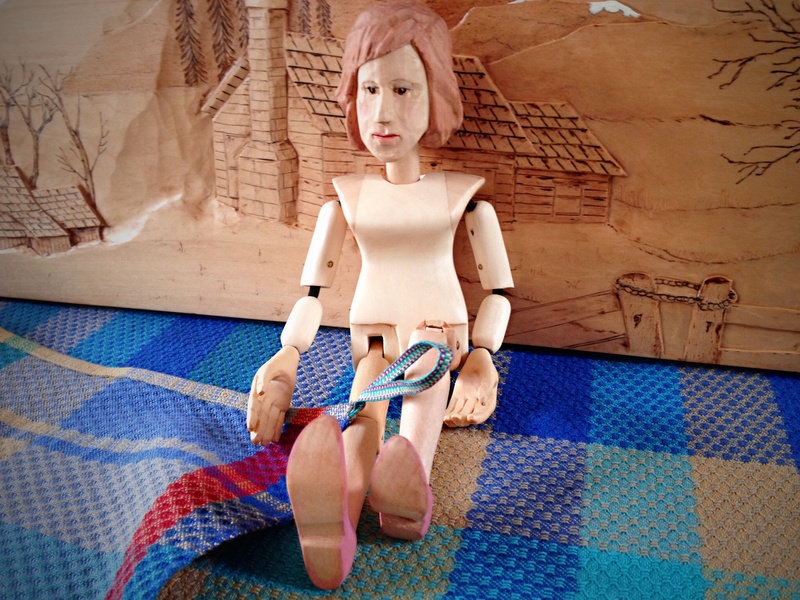 How can I stand before my grand weaver and expect him to overlook all my imperfections? My camera tricks are useless. Warp made with a few colors from the towels, this cotton ribbon will be a good match for making hanging tabs for the towels. 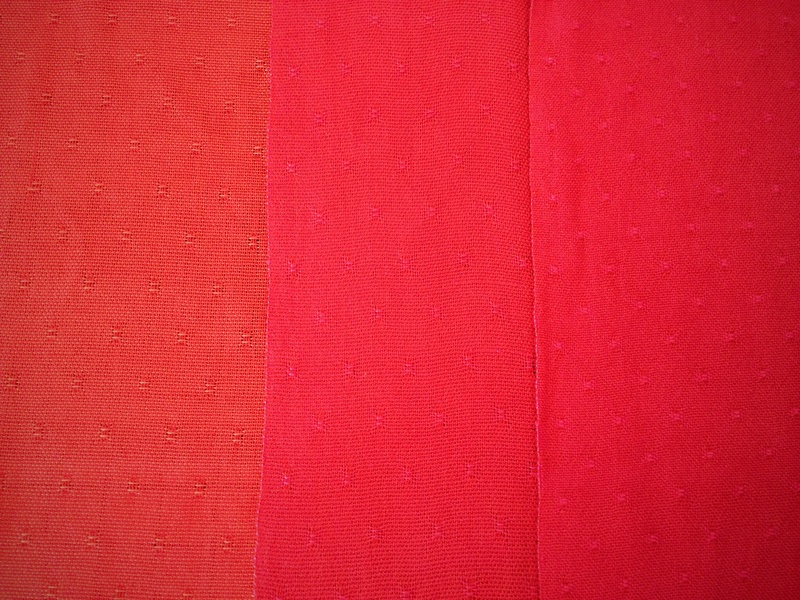 Three yards of cotton ribbon, completely in harmony with the towels they will adorn. Jesus takes my place before God. His perfection covers my imperfect deeds. My simple part is to put my trust in him. His cross took all my failures to the grave. Now, when my grand weaver sees me, he notices the perfection of his original design as seen in Jesus, his son. May you be who you were designed to be.